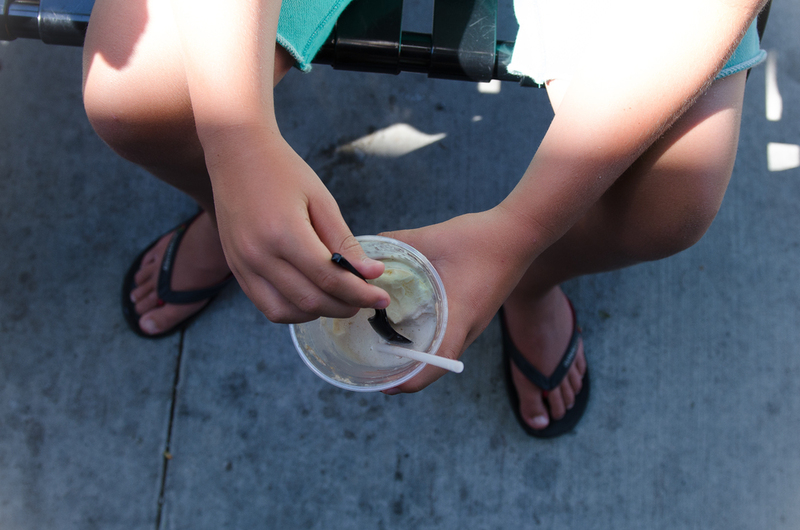 celebrating national ice cream day. our weekend portland adventure was not complete until we made one final stop at salt + straw ice cream. there was certainly no debate after we realized yesterday (sunday, july 19th), was national ice cream day — it was fate. 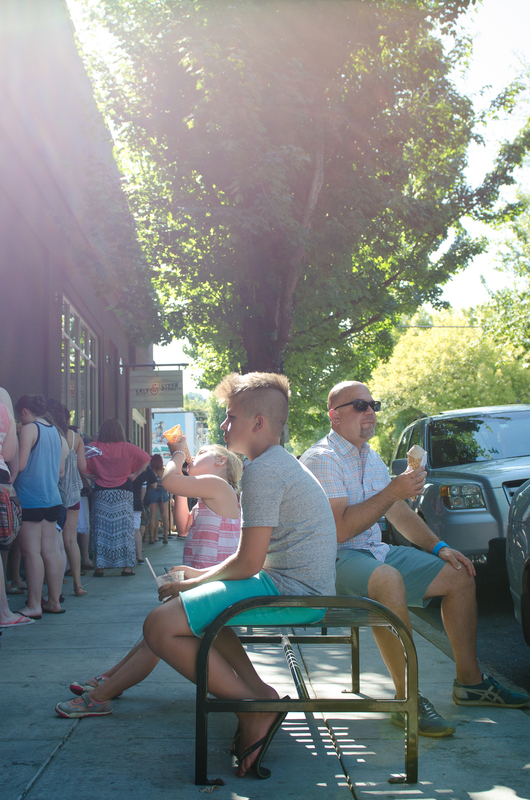 if you have never been to salt + straw, there are a few things you need to know. first, the ice cream there is insanely delicious. second, there is always a line around the corner. yesterday in portland was 90+ degrees — a hot one. thankfully most of our in-line time was in the shade. as we rounded the corner, the anticipation grew. what flavor/flavors would we get? would we get a cone or something else? maybe a float? maybe a milkshake? maybe all three? let me just say, it was not a bad problem to have. once inside, the aroma of waffle cone wafting through the air, transported us to a different dimension. our eyes glazed over + i’m pretty sure i began to drool, i can’t say for sure. the line moved quickly + panic began to ensue. the pressure was building. one final line turn + we were up. what was it going to be? we sampled + tasted and sample some more. finally, decisions were made. now typically, i am not a huge ice cream fan. in this particular instance, however, i made a choice that i have never in my life made before. i couldn’t resist. not only did i order a scoop of sea salt ice cream with burnt caramel ribbon, i also ordered a lavendar + spruce cola float. can i get an amen! watching my littles + guy was the best treat though — they love ice cream. love it. i loved the thoughtfulness they took in deciding what to have. i loved seeing their eyes light up as they were handed that golden nugget of goodness after the heat + line + crowded anticipation. i loved watching them as they enjoyed the creamy goodness — even as it melted + dripped down their hands and onto their laps as we sat + ate. it was good. it was really, really good.